"But I ultimately decided that my goal is to have the most fulfilling life I can have, not the easiest." And I started thinking about all the situations where that statement could apply. It's even a good answer to the question, "Why write?" When things are difficult, I do want them to be easier. But then there is this idea of fulfillment, quality. It's why we don't all take the easy road. It's why we spend years studying, practicing, putting in the sweat. My series of guest posts on the topic of fear continues with this visit from Jacqueline Jules on the "Boogey Man in the Basement:"
Fear, like a boogey man crouching in the cellar, is always waiting to attack me. Since childhood, panic has made me hide under the bed when I could have been living my life more fully. Imagining the worst is easy. Calming myself is not. In recent years, I have made a conscious effort to fight the imagined monsters in my head through my poetry. I wrote the following poem, “Boogey Man at the Bottom” during a period of stress when I worried about the health of a loved one. Forcing myself to stay out of the basement, where my fears where waiting to strangle me, took great effort. So I gave myself a visual, a picture of myself standing at the top of the stairs, considering the danger of descending. In my poem, I listed the reasons why it was a poor choice and convinced myself to walk away. For weeks after finishing the poem, whenever I found myself dwelling on frightening thoughts, I repeated the lines of my poem, “Why go down there?” It gave me comfort. Anticipating the worst is like running into the arms of the boogey man. It does not help us. But closing the creaky door with peeling paint and seeking lighted rooms above ground certainly does. Close the creaky door with peeling paint. The steps are rotting and the light bulb’s broke. and the shadows it makes. from crumbling cinder block and scurrying rats. with brittle white arms. You don’t need his bony hug. Resist the quaking steps, the creepy darkness. the bad breath of moldy dust? Seek a room without shadows, above ground. Freddie Ramos comes home from school and finds a strange box just for him. What's inside? 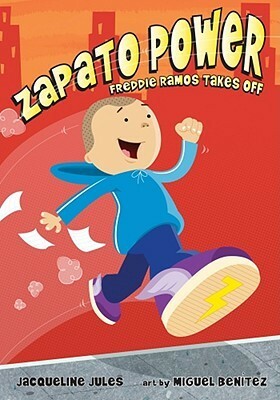 ZAPATO POWER — shoes that change Freddie's life by giving him super speed! I wanted to find people who were making, or trying to make, a career out of writing. I was, in that sense, lonely. ..."
It's always difficult to adjust to the messiness of a first draft: its tangents and sketchiness, its incompleteness, its redundancies, the parts that will need to be deepened and the parts that will need to be lopped off. But if a bowl of raw batter can become a cake and an acorn can become an oak, I guess I can manage to turn this fragmentary collection of scenes into a book. with a lovely quote from The Horn Book across the front cover. So yes, this is a thankful Thursday. And thank you, because a writer without readers is just talking to herself. I hope it's a happy day for you, too. Writers have a long-running debate over the question of whether to prologue or not to prologue (if I may twist Shakespeare and turn a noun into a verb). Some readers skip prologues. After all, it's asking a lot of a reader to invest mental energy in imagining a world and getting to know characters who then vanish after a few pages, possibly never to reappear. But prologues, like any other writing tool, can work sometimes. I think prologues should be careful not to tip the writer's hand too far. The prologue shouldn't introduce the very piece of information that the main character will spend a whole book seeking: the identity of the jewel thief; the answer to what's-in-the-mystery-box; the truth about where the MC came from. Those mysteries can be hinted at, but if they're completely solved in the prologue, then we have little motivation to read on. It's no fun waiting too long for a main character to catch up with us. A good test for a prologue is this: If I cut it out altogether, does the book hold together? Actually, that's a good test for the necessity of any chapter, any scene. 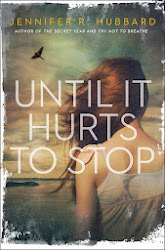 Author Beth Kephart has a book coming out this year about writing memoirs called Handling the Truth, which I'm eagerly awaiting. She's also teaching a class in memoirs. Agent Sarah LaPolla tweeted recently, "Passing on memoirs is the worst. I mean, all rejections are the worst but memoirs just kill me. ... I love them." So I've been thinking about memoir, the pleasures and pitfalls of this form. The pleasures include the intimacy, the depth an author can achieve when going over ground on which he or she is an expert. Honesty and insight bring out the best in this type of writing. One of the biggest challenges is that of making one's own life interesting to other people, answering the question, "Why would anyone else need to read this?" The beginning memoir-writer has to figure out what to include, and what to leave out, and in what order to arrange things, but most of all the why. Some of the first memoirs I read were those of high-altitude mountaineers. I read them because I wanted to know what it was like to stand on top of the world--or to try and fail. To spend so much time and effort and money, to lose friends, to risk injury and death, in the pursuit of that unusual dream. What does it bring you up against? What does it make you face? How do such journeys change people? The sense I got from most of the accounts was that, while summits and new routes to summits were always goals, there was a certain satisfaction from just being in such places and participating in such climbs. Although satisfaction is perhaps too mild a word. The highest mountains in the world are unbelievable in scale, unsurpassed in beauty. But life-risking adventure is not the only worthwhile subject for memoir. My favorites also include Plant Dreaming Deep, May Sarton's account of rehabbing an old house in New Hampshire and learning to live alone; Drinking the Rain, Alix Kates Shulman's story of "living off the land" on more levels than just the literal; and Ivy Days: Making My Way Out East, by Susan Allen Toth, about a Midwestern girl's stint in an elite Eastern college in the 1950s. Especially do I love the chapter "Summa" in the latter book. It's about reaching for the utmost achievement, and what that costs, and what happens as a result. But like all good memoirs, it's about so much more. A while ago, I read a book that brought home to me the difference between global editing and line editing, and reminded me of the importance of the former. The book was well done at the line-edit level: a couple of typos, but nothing serious. At the sentence level, the book was coherent, neat, and professional. But when I looked at the book as a whole, I could see problems with pacing and the building of the general plot arc. There were also many threads left hanging: Subplots that weren't developed. Intriguing themes that were introduced, but never reappeared, never became integrated into the main story. A lack of smooth transitions, a sense of disconnection between chapters. Even though the story was fascinating, it left me with a dissatisfaction that took me a while to understand. And then I realized it was this lack at the global level. A well-edited novel is like a completed jigsaw puzzle. All the pieces interlock perfectly. Every piece fits, and no piece is left over. You can admire the whole image, or lift out a piece at a time to examine it. The book I'm thinking of had missing pieces, extra pieces, and places where the pieces didn't fit exactly. There were enough pieces so that I could see a picture, which was satisfying, but the gaps and asymmetry bothered me. When editing is done well, it's invisible and thus difficult to appreciate--invisibility being inherent in seamlessness. A good story transports the reader so thoroughly that the machinery goes unnoticed. This year, I'm going to continue my tradition of having guest posts on a certain topic throughout the year. In 2011, it was second books; in 2012, it was books from our childhood. In 2013, the topic is fear. I picked fear because I thought: we've all felt it; we all develop ways to cope with it. It's a powerful emotion, so there's probably a lot to say about it. My first guest blogger is Lauren Bjorkman, who's not afraid to have a few chuckles in the face of fear. When people learn that I sailed across the Atlantic Ocean on an old sailboat just after my 10th birthday, or that I kayaked among icebergs and brown bears in Glacier Bay, or wrote several young adult novels, or traveled to Syria and Yemen, they think that I have NO FEAR. Nothing could be further from the truth. My adventurous life has everything to do with my parents and my husband. My recent released YA novel, Miss Fortune Cookie, addresses the issue of fear. 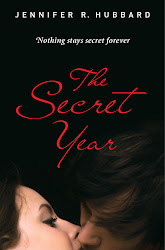 It tells the story of Erin, a secret advice columnist with a Chinese heart. She speaks Mandarin and lives in San Francisco Chinatown. She and her crazy smart friends have applied to Ivy League colleges. The story is NOT about me. I rarely give advice to my friends, never lived in Chinatown, and didn’t apply to a single Ivy League school. But Erin and I are alike in one important way. We both let our lack of self-confidence—aka fear of failure—hold us back. Over time I overcame many of my fears—public speaking, aggressive dogs, snorkeling, eating slimy things, mingling at parties. To a degree, anyway. When my self-confidence grew, I finally dared fulfill my dream of writing novels. In Miss Fortune Cookie, Erin’s confidence takes a big leap after she survives an adventure of a lifetime. Actually, she enjoys some of it. Once she faces her worst fears, she discovers that they did not have the power she imagined they did. This realization frees her to take the next brave steps in her life. I haven’t overcome every last fear, of course. I’m still terrified of large ocean waves, for instance. I use another strategy to deal with this. It’s called avoidance. Hindsight enables me to look back on past writing projects and see how I dug each finished story out of the ground. Now that I know what I was digging up, it seems inevitable. I can see where the beginning came from, how the ending fit in, etc., the way an archaeologist might map out a buried city. Unless I revisit my early drafts and deleted scenes, I forget that at the time I first wrote it I was wandering, stumbling into dead ends, backtracking. I often had no clue where I was heading. This becomes most relevant when I'm working on new projects, and I find myself frustrated by my inability to tear straight through them from first page to final page. It's as if I've never been through this crazy unpredictable process before. Most laughable of all is the fact that the book I just wrote was my most difficult ever. It involved more false starts, more drafts, more rewrites, more abandoned characters strewn by the wayside, than any of my previous books. So you would think the knowledge that writing is not a straight road but a circuitous path would be fresh in my mind. To which I say: you would think that, but oh, how wrong you would be. I suppose the delusion that This time, it will be easy! is one of the self-protective mechanisms that enables us to keep at this. My local library had an organic garden last year. The garden beds and a pumpkin patch were tended by children. Successful crops included cucumbers, zucchini, peppers, tomatoes, basil, radishes, lettuce, carrots, celery, Swiss chard, and kale. One more reason I love libraries. Mary Catelli has an excellent post about using primary sources in research. It makes many points that I've often thought about when reading history books and historical fiction. For example, she says: "Everyone who writes, writes for a purpose. Discovering that purpose is not only part of learning about the era, it's also necessary to read between the lines." Writers have a point of view, an agenda. They may lie, misremember, propagandize, use false flattery. They may make careless mistakes or may deliberately cover something up. They may omit things that are common knowledge at the time. They have opinions. Imagine polling 100 people about any US President. You are likely to get wildly divergent and contradictory opinions about who that person is, what his intentions are, and whether he's been good for the country. Now imagine if only one of those people wrote down his feelings about the President, and that became the primary source document for a researcher of the future. It's instantly apparent how many facets of a person and an era can be missed. Also, we have social customs that we all follow, but we rarely write about them and don't formally acknowledge them as rules. This is one of the hardest things for someone to discover and adjust to when moving from one culture to another. To me, the best general example is the speed limit. It's a legal limit, and you can be fined for exceeding it, but 99% of drivers don't follow it and are not punished. In fact, the social pressure is on drivers not to follow it. Those who do obey it are tailgated, honked at, cursed at, cut off in traffic. That's an example of a society-wide custom that someone relying only on a "Speed Limit 55 mph" sign as a primary source document wouldn't know about. In The Map of My Dead Pilots, Colleen Mondor wrote about bush pilots in Alaska flying with loads whose weight was routinely underreported on the paperwork. According to her book, everyone in that subculture knew about it: the paperwork was not reliable. But a person coming along 100 years from now, reading the paperwork, might not know that. Even now, a person from outside the subculture might not realize that. This same "reading between the lines" skill is one that we can apply to novels. What's the narrator's agenda, culture, point of view? Is he reliable? What's unspoken here? What is he leaving out? Where is he mistaken, and where is he actively trying to deceive, and why? 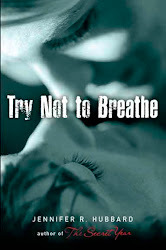 A brief note in closing, for those who are interested: My second book, Try Not to Breathe, will be coming out in paperback on Jan. 24. Preorders are available now through IndieBound, Amazon, Barnes & Noble, and Books a Million. It was on your list. I know you love this author. I think you have some interest in the topic, kind of, maybe? At least I think I heard you mention it once? I had no idea what else to buy you. I loved this book and I want everyone I know to read it. I loved this book and hope we can talk about it. I want to convert you to this religion/diet/self-help school of thought/political party. I didn't know you already had it. I saw it mentioned on TV. It was easy to wrap. Everyone seems to be reading this book. I thought of you when I read it. "Old age is a special problem for me because I've never been able to shed the mental image I have of myself--a lad of about nineteen." I am not 70, but I think many of those who write for young people recognize something in this quotation. We seem to have a mental age setting to which we can easily return, even if our daily lives are spent at a much older age. That mental age is the sweet spot for our stories, and our protagonists are often that age. For me, that age actually stretches over three years: the ages 15 to 17. I can easily call up my mindset from 19-21 also, but until recently there was a much smaller audience for such books. Is there an age to which you find it easy to return in your mind? Not just to remember, but to relive? To recall and feel again the way you saw the world, the things you cared about, the fears and ambitions you had then? When I came across this passage in A.S. King's Ask the Passengers, I marked it as a perfect example of the old saying Show, don't tell. "My mother wears expensive high heels all day while she works, even though she works at home. She wears full business attire, too, and makeup and earrings and has her hair perfectly styled, even though nobody ever sees her." Just by showing us this, the narrator reveals much about her mother. She doesn't tell us, "My mother is formal. My mother cares about appearances. My mother likes to feel that she has things under control." She describes her observations without interpretation. She shows us her mother, and lets us begin to draw our own conclusions. Like any other writing advice, Show, don't tell is not an absolute to be followed at all times. But it's oft-repeated, and with good reason. And I think this passage is an example of how it can be done well, and why it usually works. This is one of those posts where I send you all over the internet--but it'll be worth it! First I call your attention to this blog post by Courtney Summers about writing characters, especially female characters who are not nice (though much of what she says can be applied to characters more generally). A sample: " I was so scared to let a girl be angry and unkind simply because she was a girl and girls are expected to. Be. Nice." And then there's the 2013 Feminist Reads challenge, hosted by The Hiding Spot. As stated in the original challenge post: "any book that features, by your standards, a strong female character or supports feminist ideals is eligible for this challenge!" Artie Bennett on Dr. Seuss and ON BEYOND ZEBRA! At YA Outside the Lines, there are several book packs, Skype visits, and other swag up for grabs, including some available for international readers. Enter through Jan. 31. At Beth Kephart Books, you may win a copy of Katrina Kenison's new book, MAGICAL JOURNEY: AN APPRENTICESHIP IN CONTENTMENT. Enter until Jan. 4. The Story Siren is giving away boxes of advance reader copies, from her stock of review copies. Enter until Jan. 18.